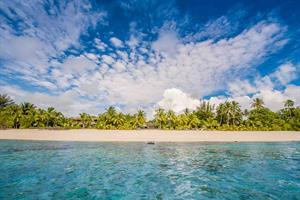 The largest coral atoll of the Cook Islands, Penrhyn (known locally as Tongareva) is also the most remote. The immense spectacular lagoon of 233km², much of which is surrounded by glistening black-lipped mother of pearl shells sits atop the highest submarine (extinct) volcano in the Cooks, 4,876m above the ocean floor. This island is known for its natural black pearls and rare golden pearls (poe pipi) that thrive in the clear and unpolluted waters of the lagoon. The unspoiled environment, white sandy beaches and offshore diving, not to mention game fishing, make Penrhyn definitely worth a visit. Known as the ‘Island of Pearls’, this triangular completely enclosed coral atoll is arguably the most beautiful in the Cooks and is well known for its abundance of black pearls. Sitting on top of an underwater mountain that rises 4,000m above the ocean floor, Manihiki has 40 motu (islets) that make up the perimeter, and boasts a deep 4km wide lagoon that teems with marine life. The lagoon is perfect for snorkeling, swimming and of course fishing including night fishing for maroro (flying fish) on a fast paced exciting boat trip across the lagoon. Rich in history and legends, Manihiki is also one of the most remote inhabited places on earth with fewer than 500 inhabitants most of whom work in pearl production. A gourmet delight of locally caught or farmed delicacies such as pearl shell oysters cooked in coconut cream, crayfish and crepes made from the soft centres of sprouting coconuts await the visitor. If you are looking for an idyllic island experience off the beaten track, a trip to Manihiki is just the ticket. Rakahanga is the sister island of Manihiki (44km to the South). Shaped by a rectangular reef around a large shallow lagoon, Rakahanga has two main islands and seven motu (islets), a total land mass of just 4km² only a few feet above sea level. Guarding the widest passage into the lagoon is the fabled Te Kainga – believed to be the original dwelling place of the first islanders. 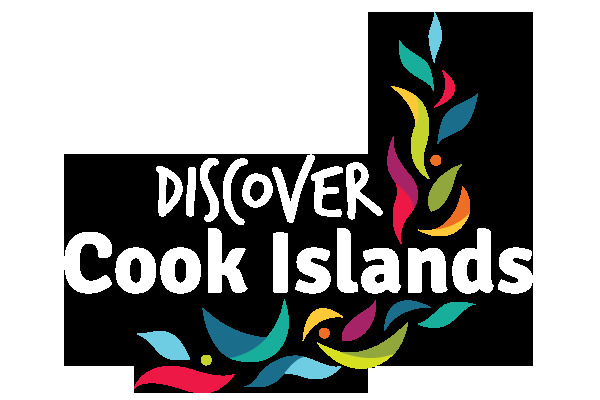 Much revered and loved by the local communities and sister islands, Rakahanga was one of the first of the Cook Islands to have a recorded landing by Europeans (Spanish explorers in 1606). They were so impressed by the islanders’ beauty they called them ‘Gente Hermosa’, ’Beautiful People’. A fitting description of a quiet drowsy atoll where today is forever and tomorrow never comes. Often described as the true ‘Treasure Island’, Suwarrow abounds with legends all of its own – buried chests crammed with pieces of eight from Spanish galleons have been found here. Today the island is a protected conservation reserve, with one of the best harbors in the Pacific in a land-locked lagoon 80km in circumference. This remote, fan-shaped atoll has a small population and is astonishingly beautiful, undoubtedly one of the most idyllic, untouched and unspoilt places in the islands. Known to have been inhabited from at least 300BC, the island culture has close affiliations with both Eastern and Western Polynesia and is famous for its sailors and navigators. Pukapuka has the distinction of being the first of the Cook Islands to have a recorded landing by Europeans (Spanish explorers in 1595). There is excellent swimming and snorkeling here in the deep shadowy blue lagoon (so clear you can see to a depth of 18 metres) and the opportunity to purchase finely woven mats and kikau (coconut frond) brooms. A remote Garden of Eden, the island paradise of Nassau is the little sister of Pukapuka – some 50km south – and is the only island of the Northern group without a lagoon. At just 28ft above sea level it sits on a narrow coral reef which used to make it incredibly difficult for anyone visiting. There are only 75 or so people (nearly half of them children) who work and play together on this delightful island paradise.